Is this the world’s coolest little leaf climber? 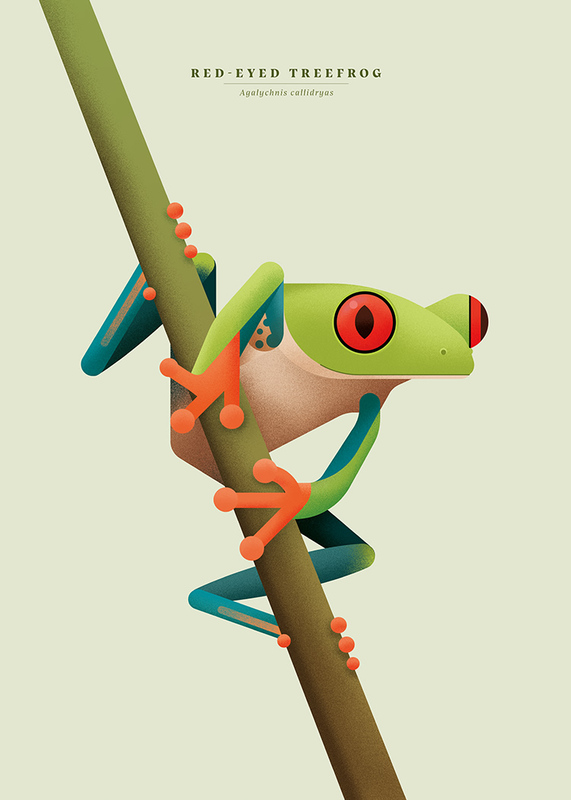 Fantastic print with a red-eyed tree frog. The frog normally lives in the rainforest of Central America. It is a bit of a celebrity for its characteristic appearance and has often acted as a symbol of the struggle against the devastation of the rainforest. Colorful, a talented climber and magnificent jumper. Who would do better in a children’s room poster than this little fellow? We like posters, walls and you.